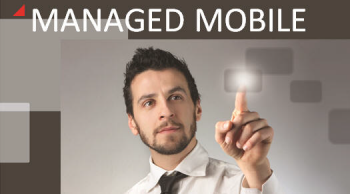 Manage your mobile devices using an enterprise class IT solution at an affordable price. Are your employee's smartphones an open door to your secure network & critical data? Mobile computing is becoming an increasingly vital component of every businesses operation. As end user's access critical business information, communicate with customers, and leverage their mobile device to support their day to day activities, you need to ensure that the same management, security and oversight solutions you rely on for your IT. Mobile Support - Leveraging enterprise level best practices & expertise, our Network Operations Center is available to support all your Mobile Support needs. From wiping a phones data to tracking its location, our team can handle it all! Mobile Management - Since supporting end users along isn't enough, our management solution will standardize configuration and ensure key features are always available. Mobile Security - Our solution will ensure that your business & data are secure by enforcing strict security protocols on every mobile device under management. Monthly Reporting - Gain insight into your assets, ensure all your warranties are up to date, and review support activity on a monthly basis. No charge to wipe lost devices, track a device, and reset a passcode. Project hours used to setup email, security, WIFI, and VPN. Unprotected Corporate Data - all it takes is one lost phone without a password for all your corporate data to become available to anyone. Lost Opportunity - staying connected is vital in today's business world. Missing a single e-mail can mean the difference between winning a customer and losing a deal! Increase Profits - our solution will give you the confidence to safely & securely leverage mobile computing as a powerful productivity tool.